He recently said he was 'the happiest he's ever been' with new girlfriend Jesy Nelson. 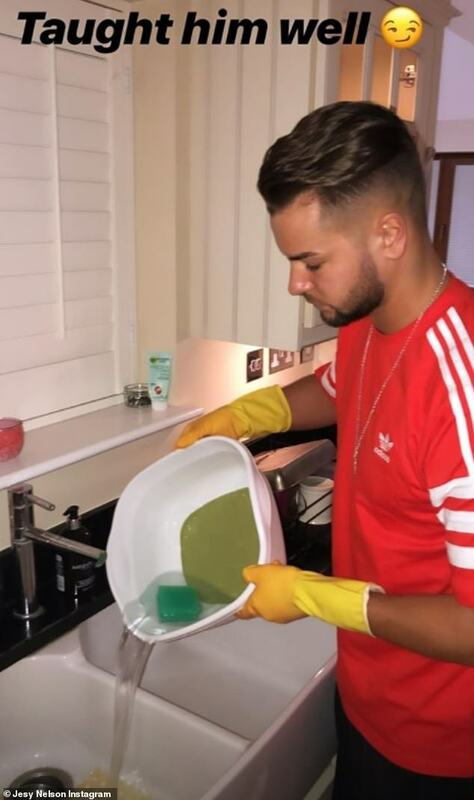 But Chris Hughes proved he's quite the catch as well, when he was pictured washing up for the Little Mix star on Tuesday night. Jesy cheekily joked that she'd 'taught him well' when the former Love Island hunk slipped on his rubber gloves and got behind the sink in an Instagram Stories snap. After dinner, the new couple cosied up on the sofa in front of the television, but made it clear that neither was watching.